The legend undoubtedly has origins that predate the short German chapbook published in 1587 that tells the story of Johann Fausten. A scholar at Wittenburg, Dr. Fausten’s thirst for knowledge is unquenchable. When he feels that he has learned all that he possibly can, he turns to magic and, seduced by the power of the black arts, summons Mephistopheles as the representative of Lucifer. The two negotiate and hammer out an agreement to be signed in blood in which Dr. Fausten will sell his soul in exchange for twenty-four years of power and Mephistopheles as a servant to his every whim. Dr. Fausten indeed enjoys a time of great power, but in the end it is seen as a pittance when measured against the loss of his soul to eternal damnation. The lesson of the legend of Faust, which recurs time and again in the course of human events, is that there are bargains we make that have consequences far worse than we imagine when we are seduced by the power that we can temporarily achieve with the bargain. Physicians, confronted with the increasing resistance to antibiotics, are beginning to flirt with a seductive possibility. The story of antibiotics is one that is well known. 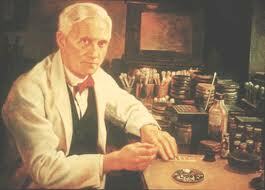 It was 1928 and Dr. Alexander Fleming was working at St. Mary’s Hospital in London as a bacteriologist. One day, he returned to a plate culture of staphylococcus to find it contaminated with a blue-green mold. It was probably a moment of frustration, to find the contamination, but there was something interesting about it. Bacteria colonies next to the mold (Penicillium) were being dissolved. 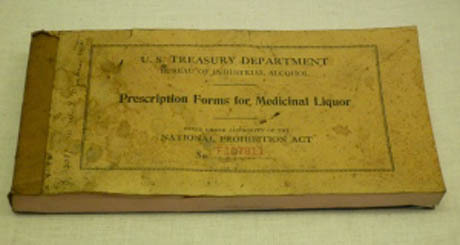 Fleming grew the mold in pure culture, leading to the discovery of penicillin, a substance produced by the mold and that had antibiotic properties. Penicillin itself was not chemically isolated until World War II, earning Howard Florey and Ernst Chain the Nobel Prize in medicine. The discovery of antibiotics revolutionized the treatment of infectious disease. Physicians were given a miraculous cure for battling bacterial infections and through the last half of the twentieth century, it became commonplace for those who fell ill to rely on the availability of a simple pill to cure much disease. But the promise of antibiotics was in some respects short-lived. The mechanisms of natural selection operated on the genetic structure of bacteria when they were exposed to antibiotics, causing them to mutate into resistant strains. Already in the 1950’s — little more than ten years after the isolation of penicillin — it was apparent that tuberculosis bacteria had undergone mutations to make it resistant to streptomycin. Over time, things have worsened. Widespread use of antibiotics has resulted in so many resistant bacterial strains that many antibiotics are all but useless. And so enters the possible Faustian bargain. As more and more antibiotics were being discovered, some were found to have high toxicity. One example was chloramphenicol, which can produce aplastic anemia in some patients. There is no known way to predict who may or may not get this side effect and it is generally fatal. It can also cause inner-ear damage that produces tinnitus and balance problems and may be linked to chronic lymphcytic leukemia. But even so, many physicians are now looking to chloramphenicol as a viable antibiotic in treating bacterial strains that have become resistant to even the most powerful antibiotics that are currently used and safer. Many feel they have little choice. There are few new antibiotics being developed and these old ones have the advantage that they have been so little used that bacteria have not had a chance to develop resistance. Is this a compromise of the type that Faust made with Mephistopheles, a bargain for greater power now over the treatment of infectious disease that has consequences we do not fully appreciate? Only time will tell, but what is certain is that after less than a century, physicians are already seeing the need to compromise as the wonderful promise of Alexander Fleming’s discovery appears to be reaching its limits. A few years ago, after alarmist reports about the dangers of the compound dihydrogen monoxide, many people responded and called for government regulation. The reports noted such dangers as severe tissue damage after prolonged exposure to its solid form, its corrosive effects on metals, its presence in tumor biopsies, and numerous reports of death associated with its accidental inhalation. But even in the face of such dangers, there was no prohibition on its use in numerous household products, including as an additive to baby food, in cough medicines, shampoos, shaving creams, and in all the coffee served at coffee houses throughout the United States. Dihydrogen monoxide — H2O — is, of course, simply water, and the list of its possible hazards, while accurate, was deliberately couched in a way that made it sound more dangerous than it really is. What if people were told of the amazing properties of a drug that is currently being investigated by researchers? One that has the ability to fight multiple sclerosis, Crohn’s disease, and other forms of inflammatory disease. It is also known to alleviate pain, reduce nausea in some patients, and to ease the impact of many sleep and mood disorders like stress, anxiety, and depression. Researchers are currently testing its effectiveness on rheumatoid arthritis, Tourette syndrome, epilepsy, and schizophrenia, among others. There are even recent reports suggesting that it shows promise as a cancer treatment by killing malignant brain, skin, and pancreatic cells without harming surrounding healthy cells. Wouldn’t they be outraged that the government continues to ban this drug merely because it also has some psychoactive properties? The drugs that seem to have all of these wonderful properties are derived from marijuana, which remains banned throughout most of the U.S. Currently, only fourteen U.S. states allow medical uses of marijuana, but the medical-marijuana movement is active in seeking decriminalization in the other states. The perception among many — and the perception is accurate to a large degree — is that those who actively seek decriminalization of marijuana do so mainly because they want to experience its psychoactive effects. 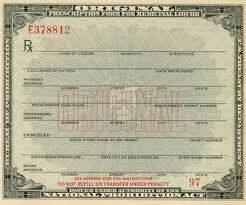 Its “medical” uses are used as a cover to argue for legalization so that, quite simply, they can get high legally. But even if that is a motivation among many, it does not diminish the fact that there are legitimate medical treatments that use marijuana and that an understanding of those treatments is critical in deciding at what level the government should regulate its use.